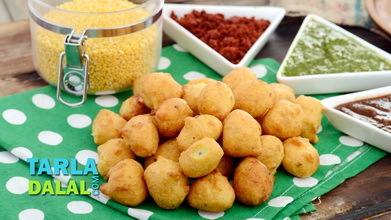 Yellow Moong Dal Khichu Video. 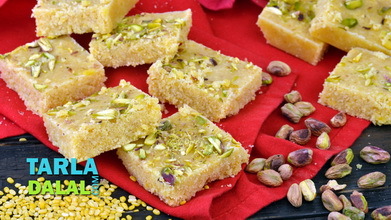 Khichu fans claim it to be the tastiest snack in the world! 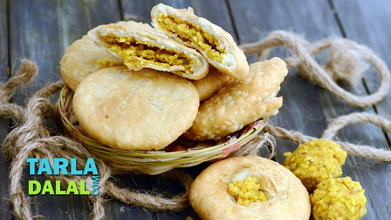 Indeed, piping hot khichu, with its doughy consistency and soothing taste, is sure to warm your soul and remind you of home. 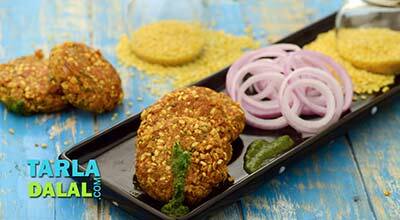 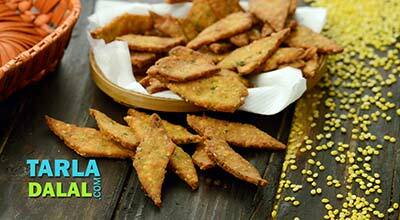 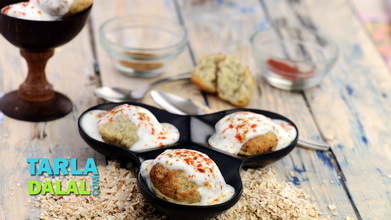 This version is an interesting variant made with moong dal. 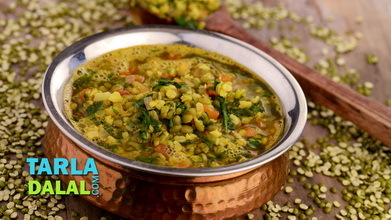 Combine the moong dal and ¼ cup of water in a mixer and blend it till smooth paste. 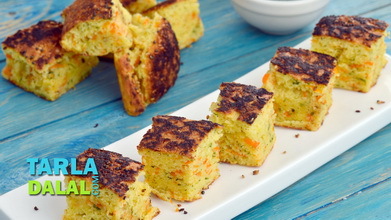 Heat 1¼ cup of water in a deep non-stick pan, add green chillies, cumin seeds, asafoetida, soda bi-carb and salt mix well and cook on a medium flame for 1 minute, while stirring occasionally. 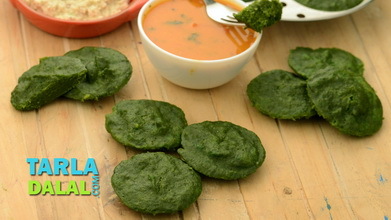 Add the prepared moong dal paste, mix well using a rolling pin and cook on a medium flame for 3 to 4 minutes or till it leaves the sides of the pan. 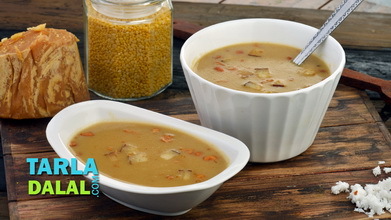 Serve immediately with oil and koro sambhar.